DC-Supply A / S delivers complete – ready for relocation – module-based mobile containers for teaching. 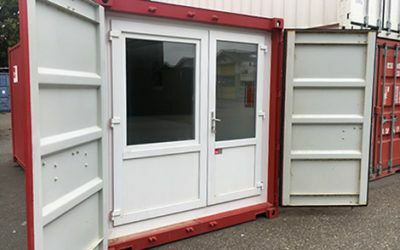 We have solved several tasks for both private companies and public institutions where the need for classrooms was best met with a special container solution. At the municipality of Aalborg there was an acute shortage of teaching facilities when molds were detected at one of the municipalities. There was therefore a need for an efficient, economically optimal solution that could temporarily secure children’s schooling with least disturbances. Here we delivered 11 customized containers for teaching with a total area of ​​150 m2. For EUC Nord DC-Supply A / S has provided a mobile module-based solution with containers for vocational education. In this case, these were containers that could be quickly installed while being connected to the existing infrastructure of the institution. To minimize the financial costs, the customer’s wish was that the solution was mobile and could be moved as desired, which we met in the best possible way. The customer wanted to expand their activities with multiple workstations, and thus needed a solution that could be placed next to the existing office building. At DC-Supply, we produce isolated 20ft ISO containers with one large room for many applications. 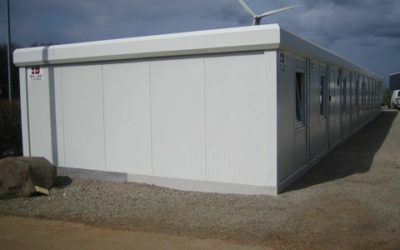 At DC-Supply, we offer an isolated 20ft ISO one room residence container with a kitchen and many applications. 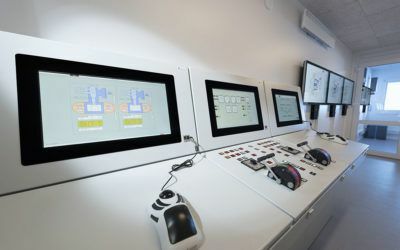 Technology, Management, and Marine Engineering students at Martec in Frederikshavn and Fredericia Maskinmesterskole can look forward to a whole new concept in their education. 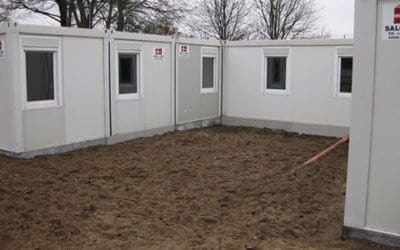 The customer had to provide classrooms for EUC Nord. This problem was solved through the use of DC-supply’s containers. 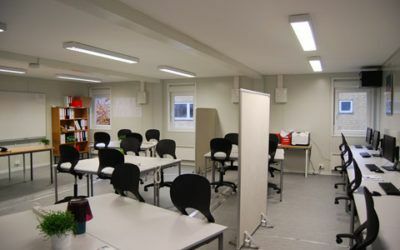 Aalborg Municipality was in charge of renovating Vejgaard School because of mold, which created an immediate shortage of facilities. If your company or institution needs containers for teaching, we advise you at DC-Supply A / S. You are always welcome to contact us, both if you are looking for inspiration or need specific guidance and advice. Our team of experienced experts can safely guide you to the goal!